Make Bingo boards either on the computer or by hand with different letters of the alphabet on them. Make cut outs of all the letters that are on your Bingo boards and put them in a sandwich bag for you to draw from. 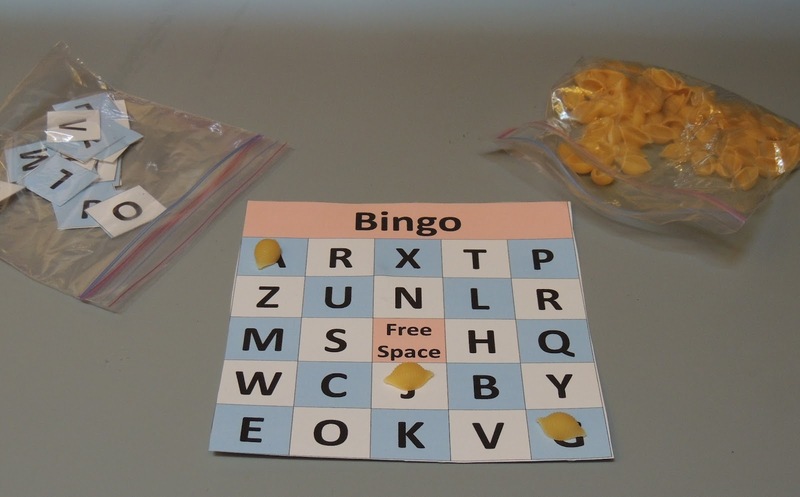 Use noodles, beads, or any small objects as Bingo chips to mark when a letter is called. You play just like regular Bingo except instead of calling numbers, you call letters.